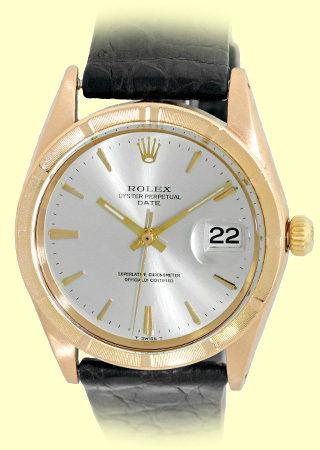 Vintage Certified Pre-Owned Gent's 18K Rose Gold Rolex Oyster Perpetual "Date" Strapwatch. 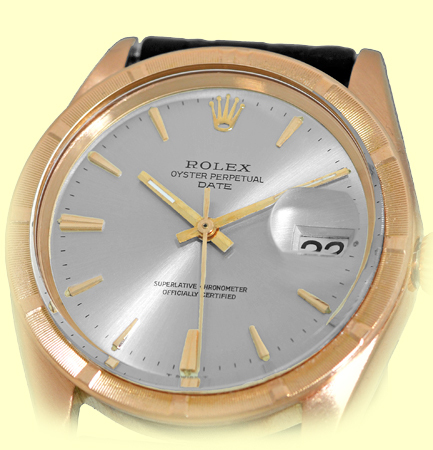 Silver/Oyster Dial with Index Hour Markers, Center Sweep Second Hand, Date Indicator. 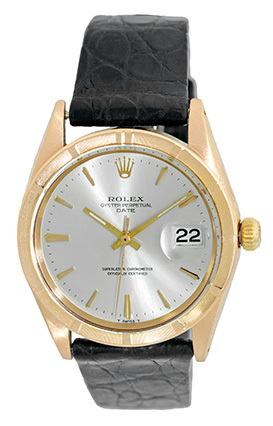 18K Rose Gold Engine Turn Bezel and Acrylic Crystal. 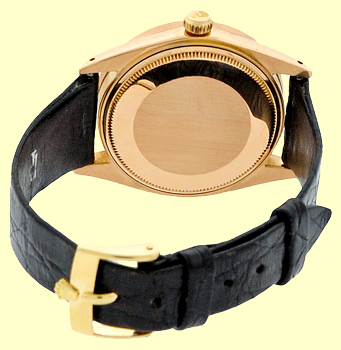 Highest Quality Custom Made Black Crocodile Strap with Rolex 18K Yellow Gold Tang Buckle. 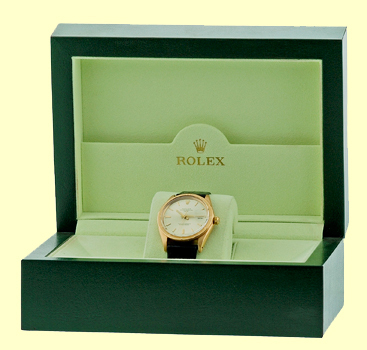 Certified Pre-Owned, Original Vintage Condition with Rolex Box, Booklet, Hang Tag, and complete with Capetown's 1-Year Warranty! !